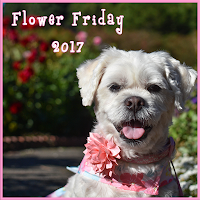 We are joining the DB Boyz for Flower Friday this week! Our mom loves dahlias - beautiful! They may be the last, but they are still so pretty. Love the color. Love,love, love!! Don't you just hate the end of Dahlia season!! ?